For 1/2 Hz or smaller natural frequencies in the vertical direction, all of the load range can be Vertical done. 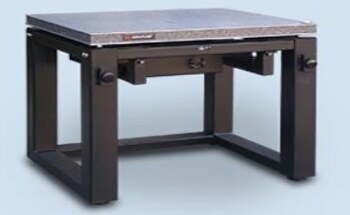 Can be used for weight loads ranging from 15 to 130 lbs. In the following section, there are examples of transmissibility curves that show the results that can be expected with natural frequency of 1/2 Hz. 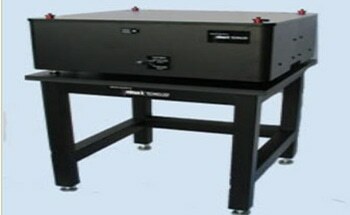 Load determines the horizontal natural frequency. 1 1/2 Hz (low horiz. freq.) or 1/2 Hz (ultra low horiz. freq.) or less natural frequencies can be achieved at or near the nominal load. 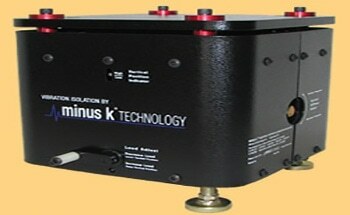 The new low-frequency negative-stiffness isolator, the LC-4 in the Minus K series, is highly compact. There are two options to choose from, one, a low horizontal frequency performance of 1.5 Hz and two, a ultra low horizontal frequency performance of 0.5 Hz. 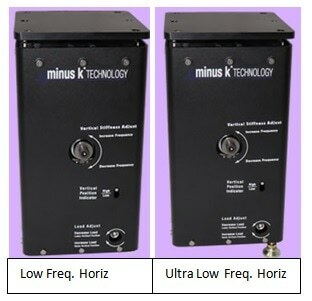 Our signature 0.5 Hz natural frequency in the vertical direction are offered for both options. If a user wishes to work with heavier payloads, the LC-4 isolators can be stacked together creating an isolator network made up of multiple devices. This also had the benefit of fitting into a small work area. The frequency vibration isolators use passive methods, can be adjusted by the user and no air or electricity is not required for them to operate. When required, customization of the LC-4 isolators is an option to accommodate a user’s particular criteria. E.g. dampening or, changing frequencies in the vertical and horizontal direction etc. 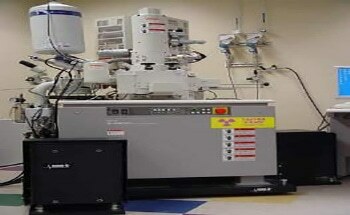 In addition, isolators can be adapted to work in cleanroom and vacuum environments. **All International Orders, will have an additional 5% Handling Fee Added.